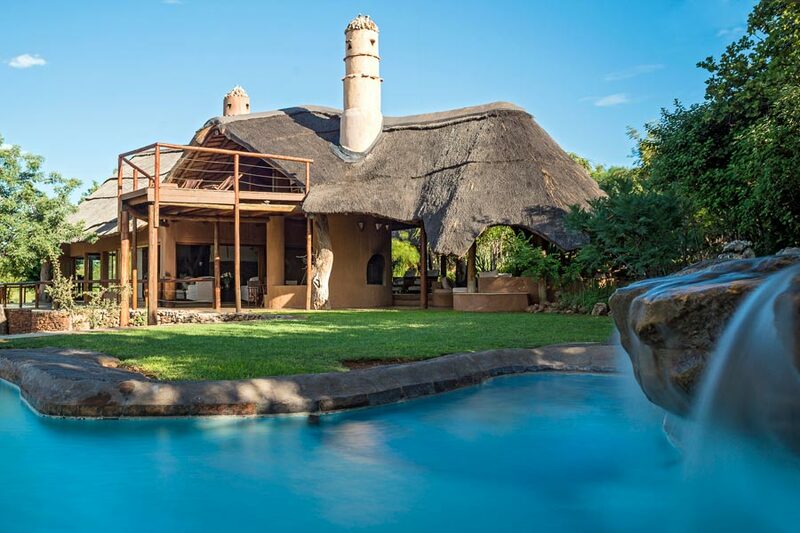 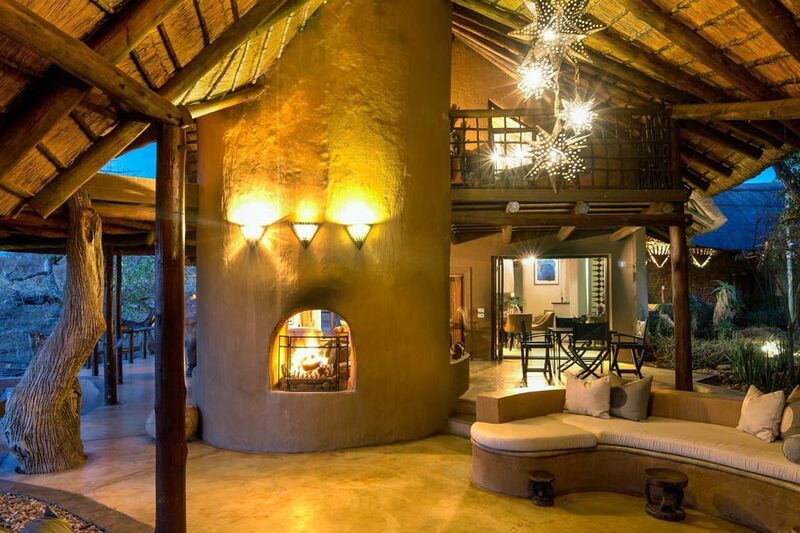 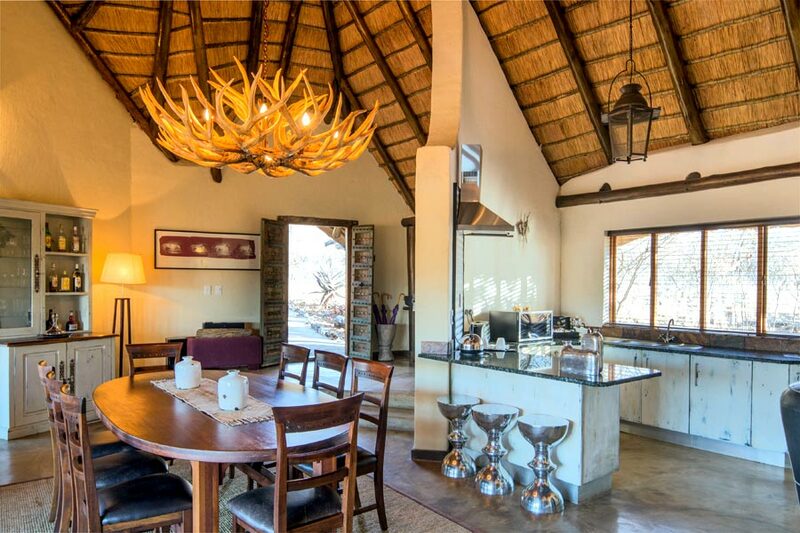 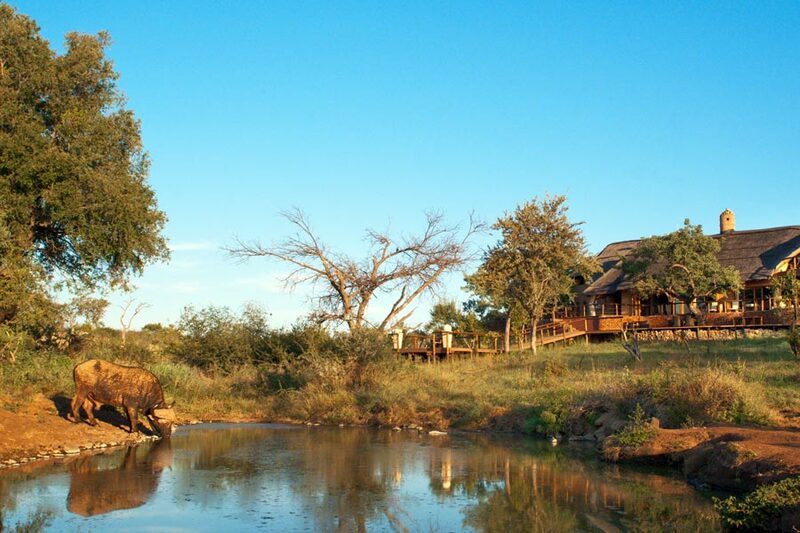 Royal Madikwe Safari Lodge is located in the western section of Madikwe Game Reserve, internationally acclaimed for its rich diversity of fauna and flora. 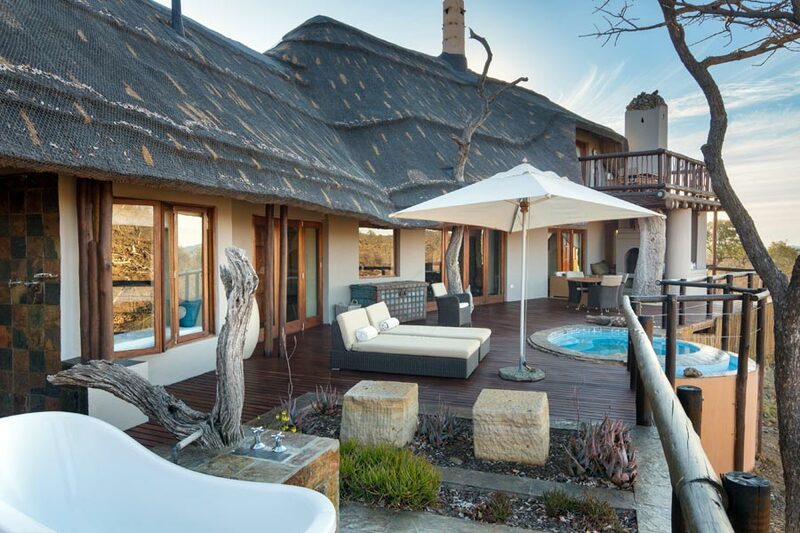 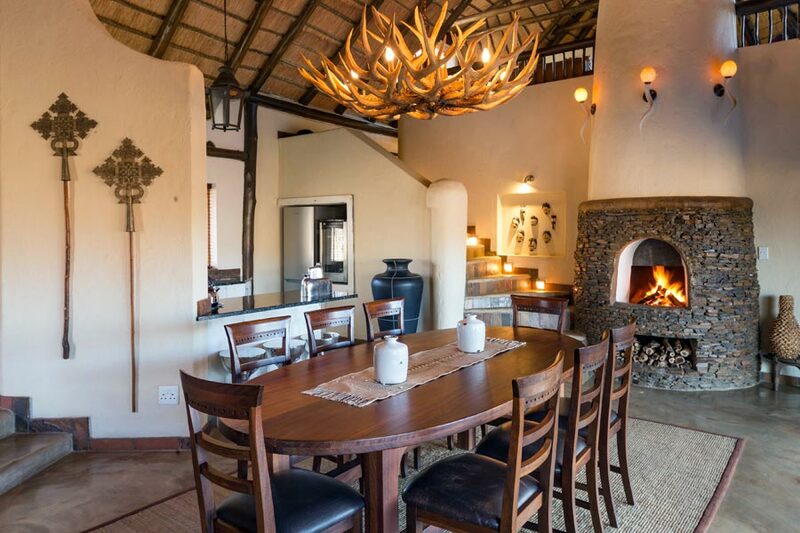 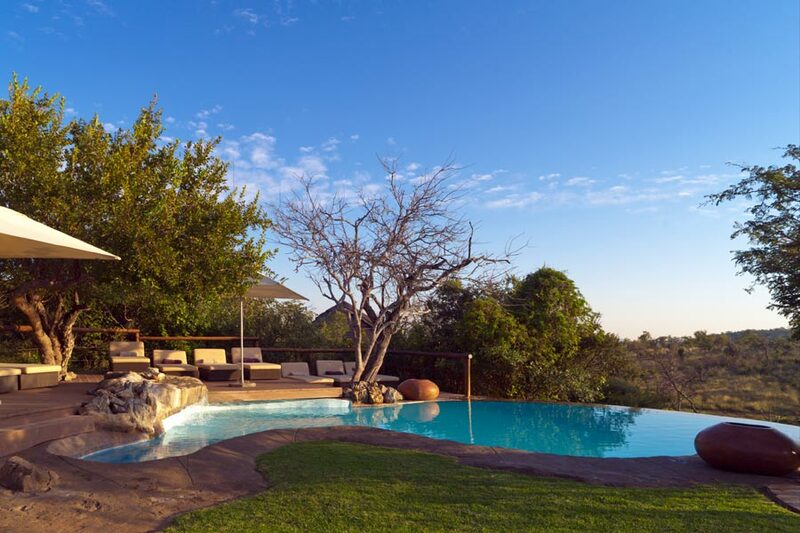 This five-star Lodge is committed to offering visitors old and young the ultimate in exceptional safari experiences amid the splendour of the African bushveld. 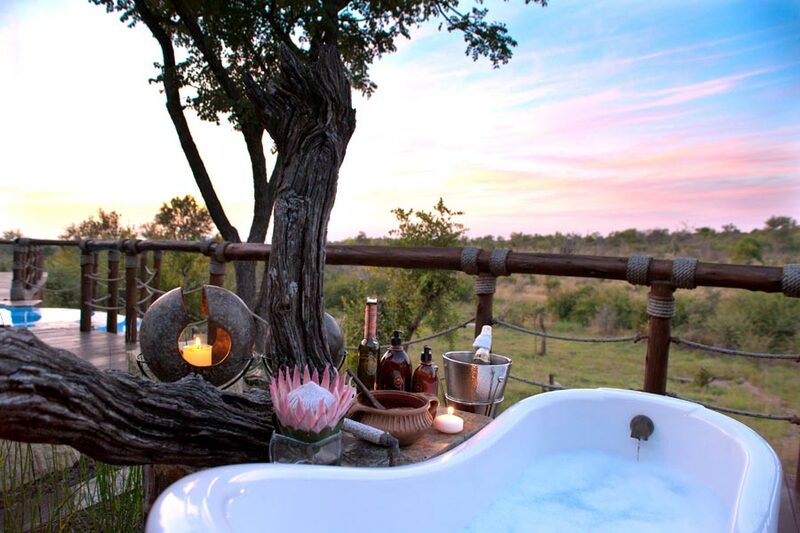 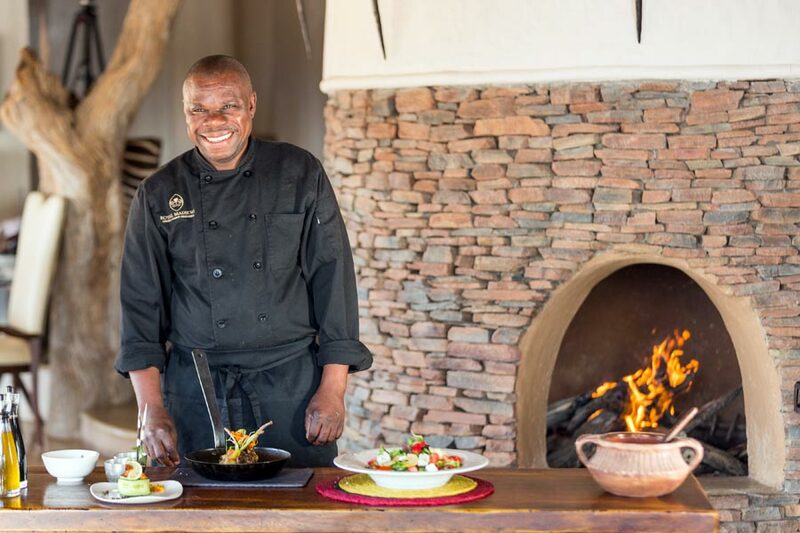 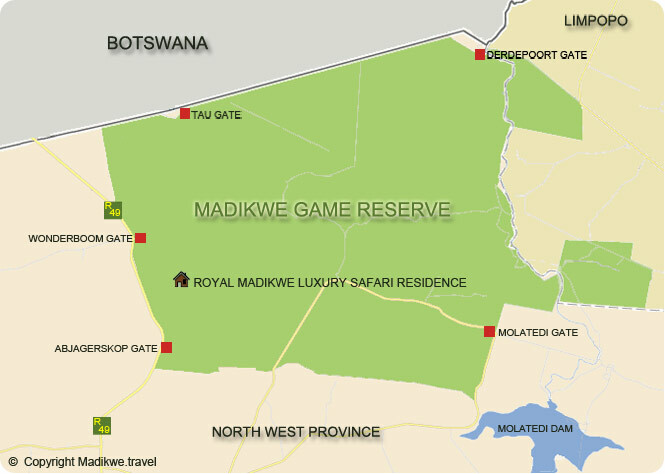 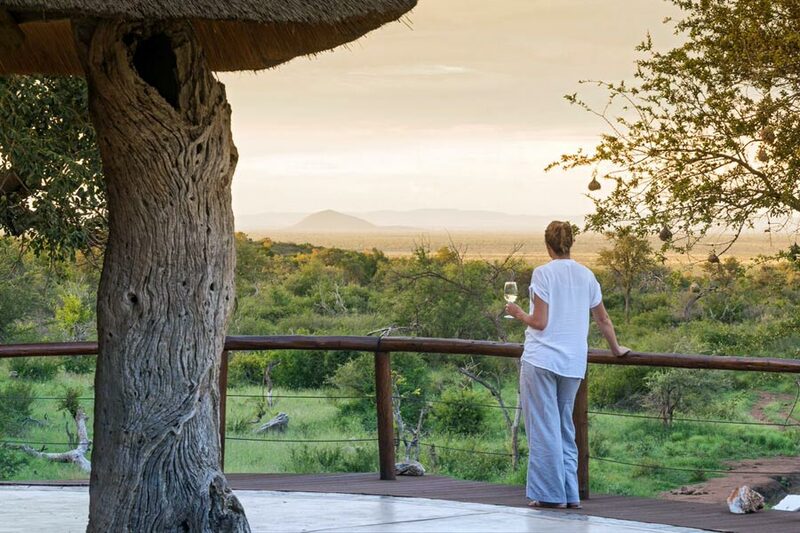 It is this commitment that made the Royal Madikwe the winner of the “World Luxury Hotel Awards” in 2010, 2011, and 2013 in the Luxury Game Lodge category. 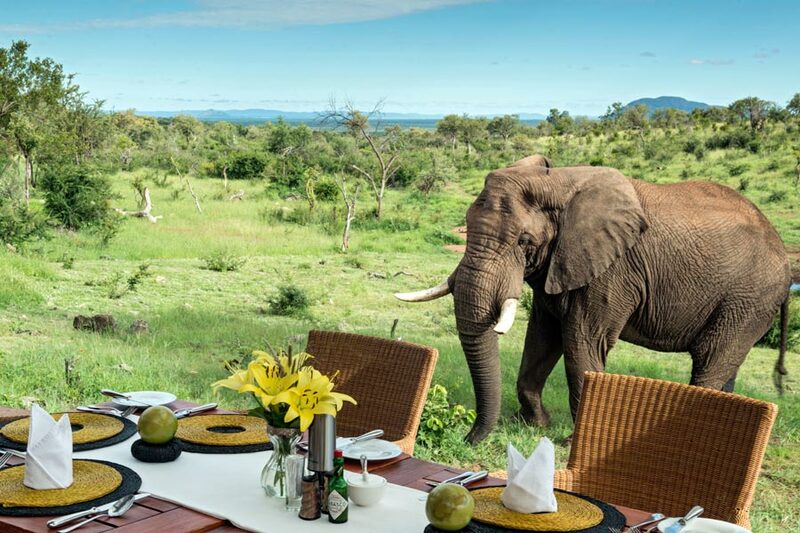 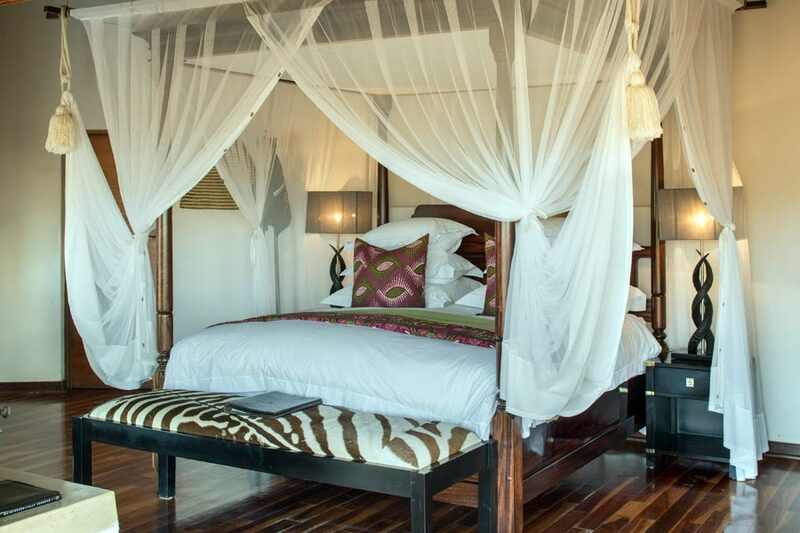 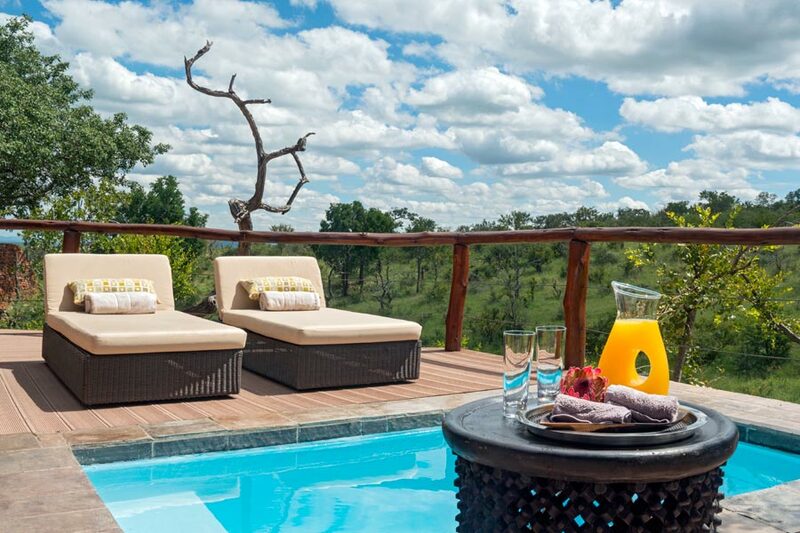 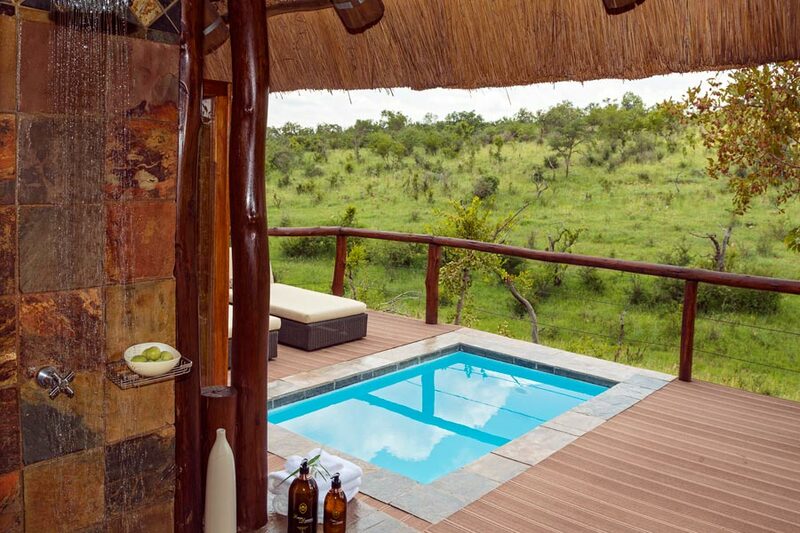 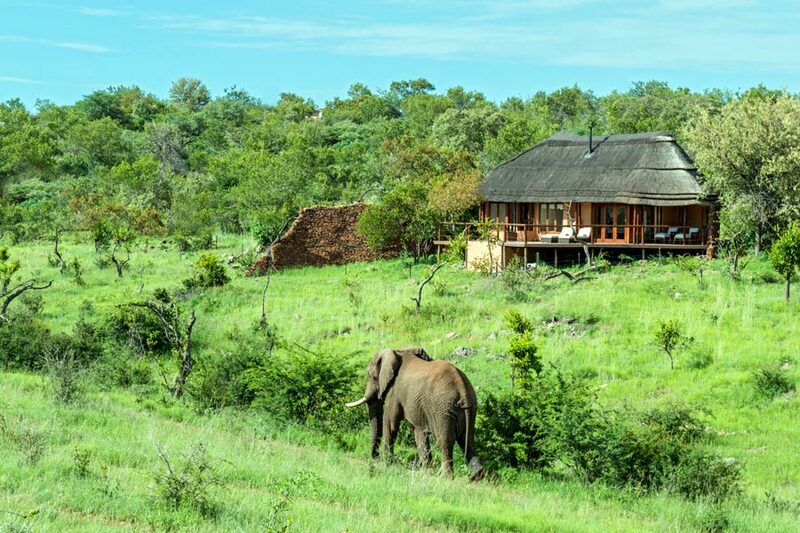 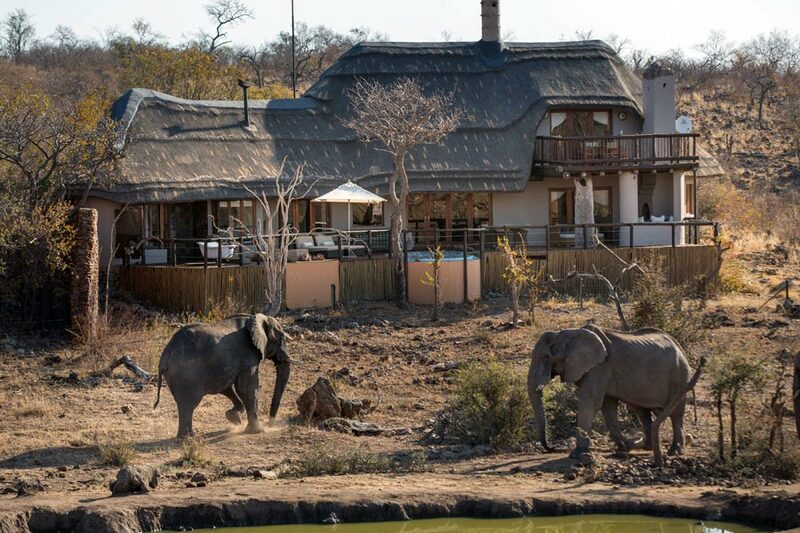 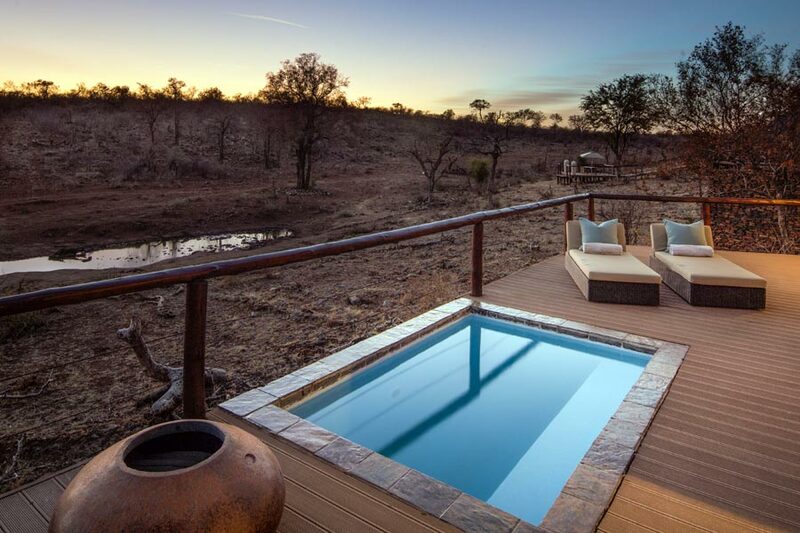 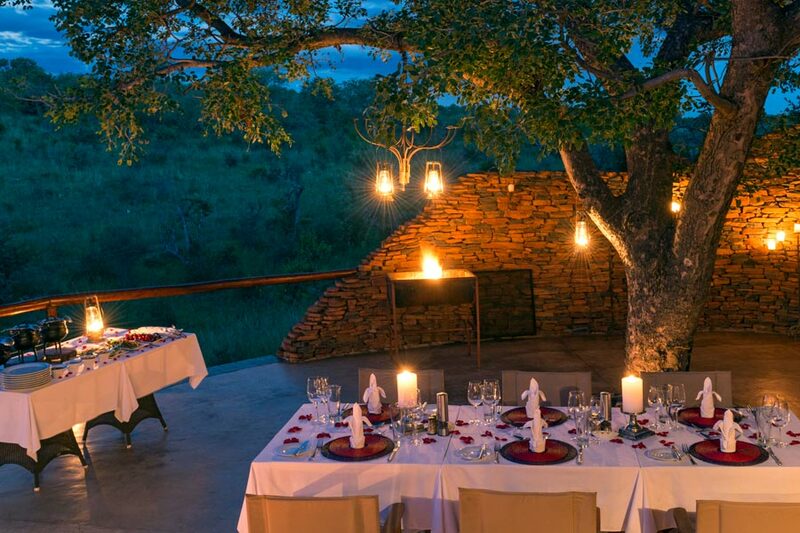 The Royal Madikwe can sleep up to 14 visitors in five exquisitely-appointed suites. 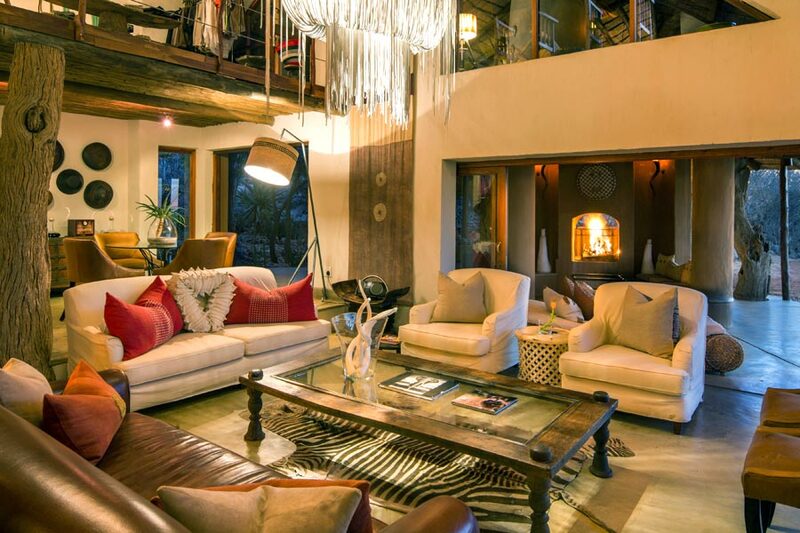 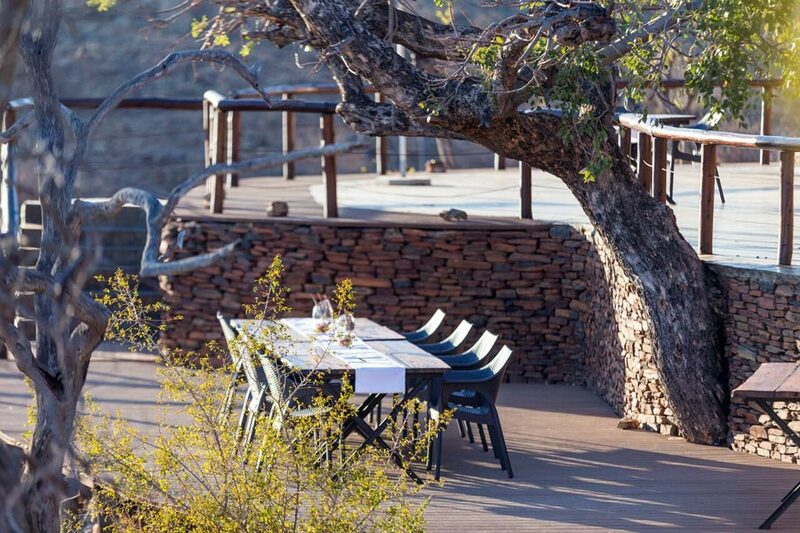 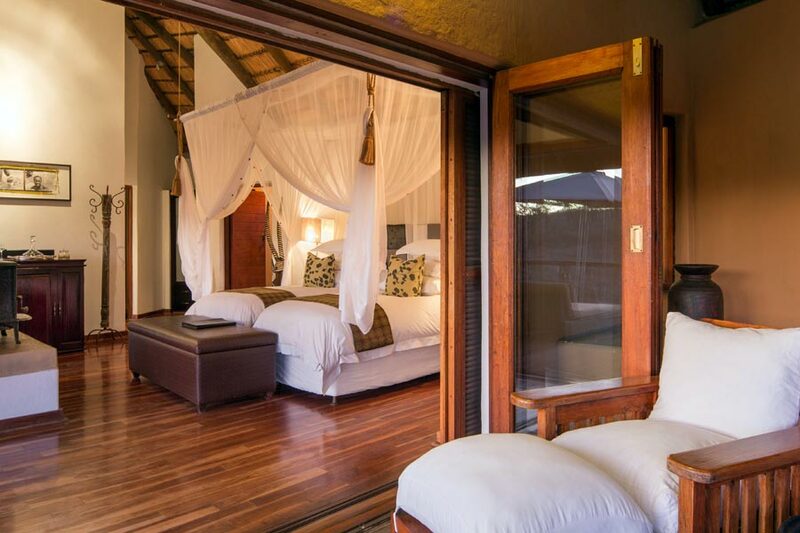 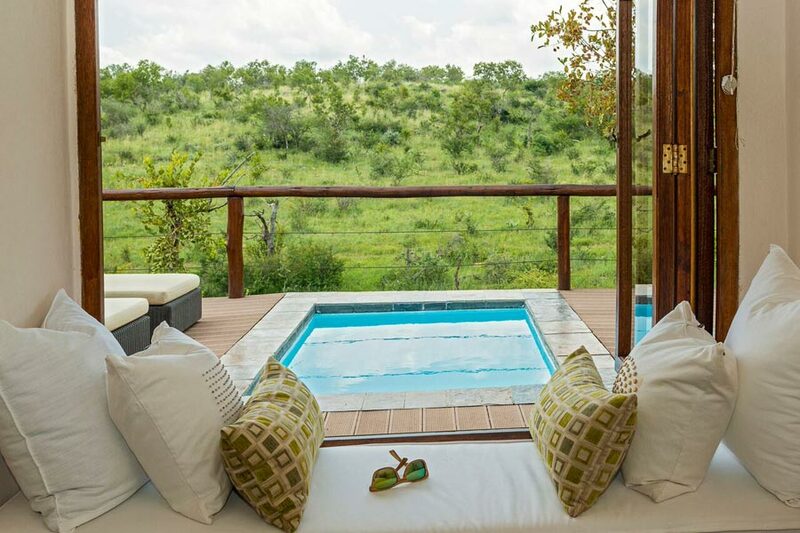 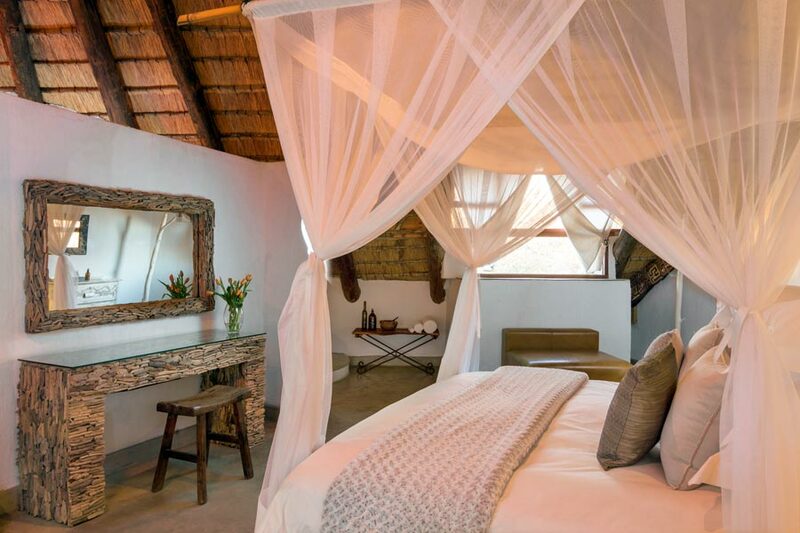 Inspired by the pristine natural surroundings, each suite fuses organic colours and textures with contemporary design, inviting visitors to lose themselves in the sheer beauty of the Madikwe wilderness. 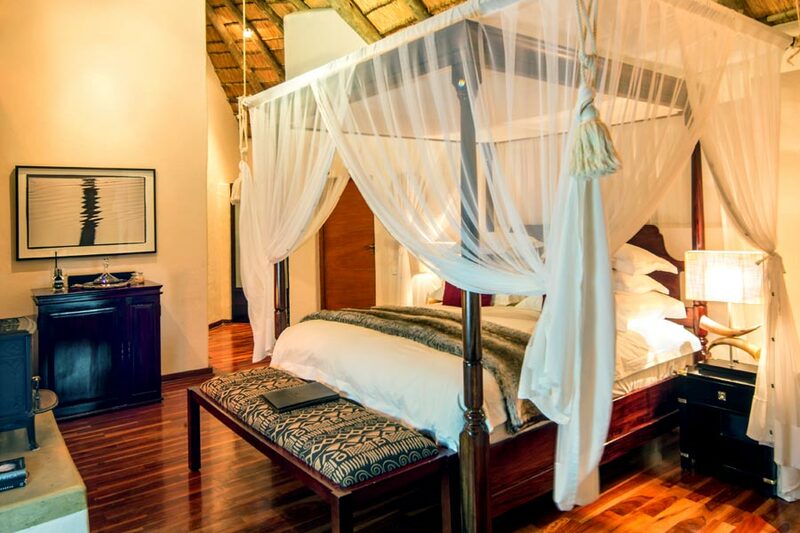 The Luxury Double, Luxury Twin, and Honeymoon suites can each accommodate two visitors while the Royal Villa has two separate bedrooms, making it perfect for families with up to three children. 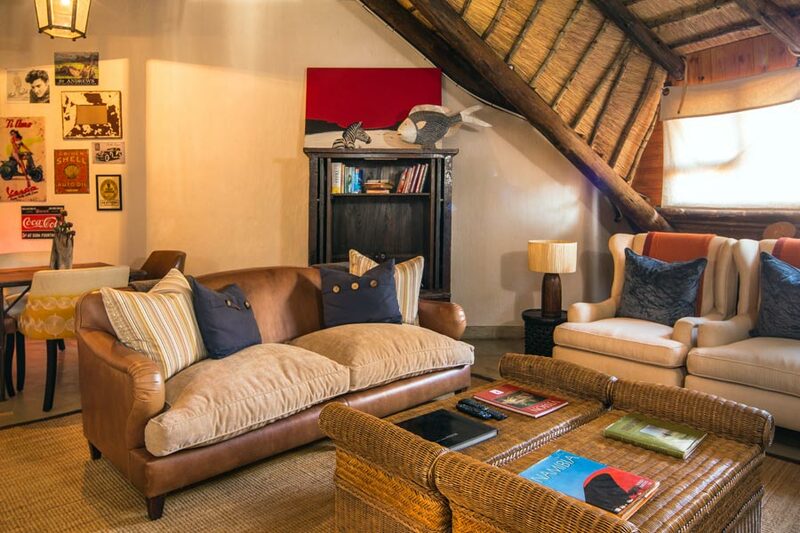 The Emperor suite, which lies on the second level of the Lodge Clubhouse, is suitable for families with younger children. 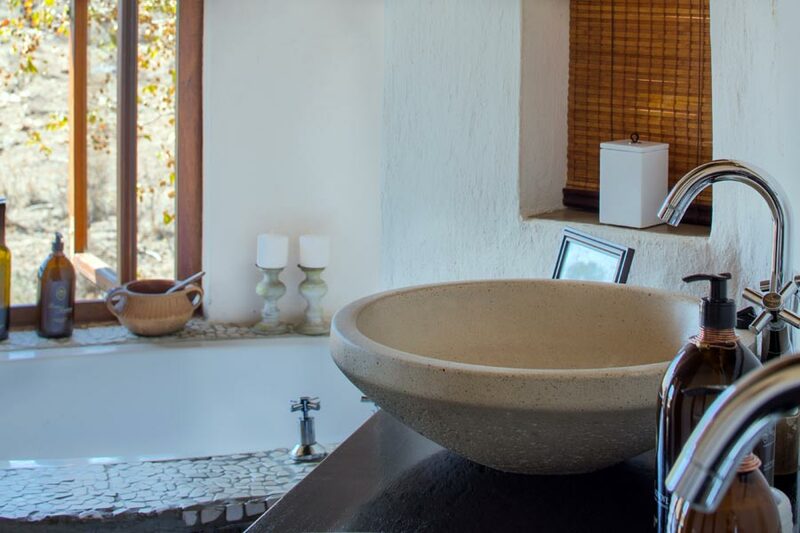 In keeping with its upmarket status, every suite has an extensive range of amenities including complimentary WiFi, an iPod docking station, a safety deposit box, hairdryer, air-conditioning, tea and coffee making facilities, a fully stocked minibar, velour bathrobes, and slippers. 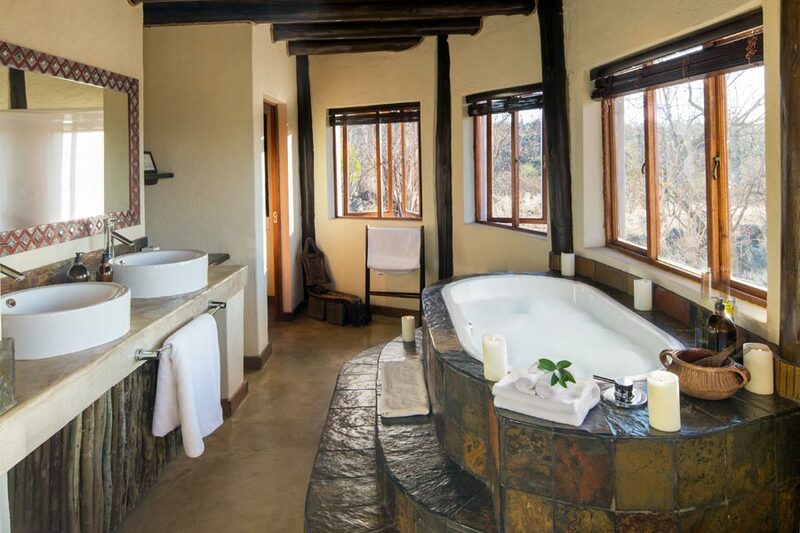 As well as a sublime choice of liquid soap, bath foam, bath salts, hand and body lotion, shower gel, shampoo, and conditioner. 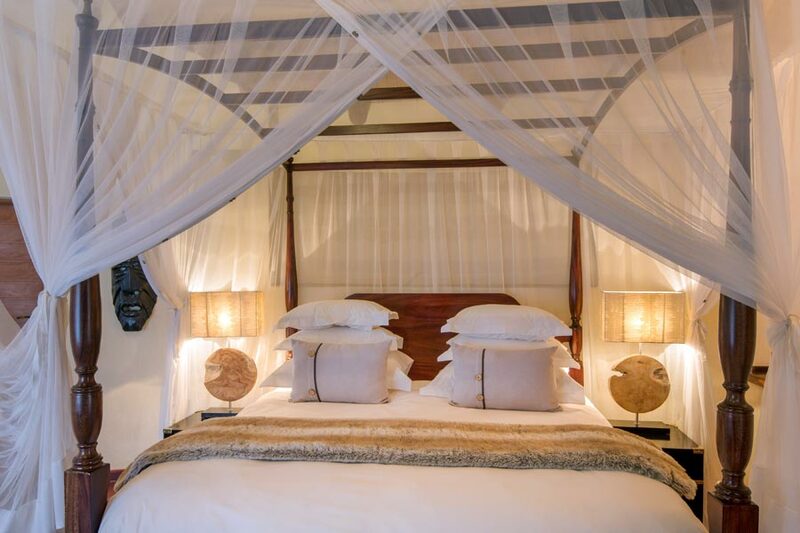 In addition to these fantastic amenities, the Emperor and Royal Villa suites provide an HD TV plus DVD player with selected satellite channels.